2. Customized calling screen caller id. Auto pickup features : when incoming calls, raise the phone to your ear and the app will auto pickup the call. No need to click any button. 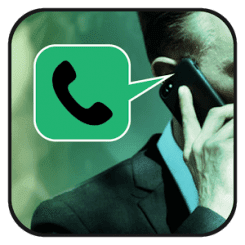 - Customized Outgoing Calling screens. - Select default backgrounds or choose from gallery or mobile camera. - 5 Calling buttons themes to select from. - Enable either one of the calling screen or enable both together.